"An acre of lettuce under the artificial rain is a sight to remember. The sun plays rainbows on the mist and glints from the little pools and bright green leaves; the moisture stirs rich smells from the light earth; the rain itself, the patter of the drops on the leaves, the grateful odor of the plants and soil, all are in miniature, confined under a sky of glass—within is spring, beyond lies winter." 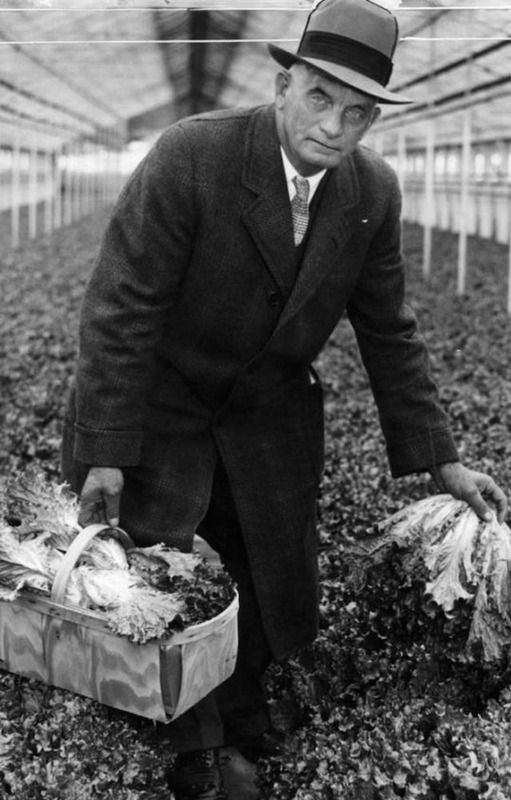 Ruetenik and other growers banded together in 1926 to form the Cleveland Hothouse Vegetable Growers’ Cooperative Association. This organization undertook scientific research and promoted greenhouse produce. It also started the Greenhouse Vegetable Packing Company in Berea, which graded and packed tomatoes and other produce bound for market. Martin Reutenik maintained a fleet of Ford Model T’s that trucked produce to markets from Indiana to Pennsylvania. 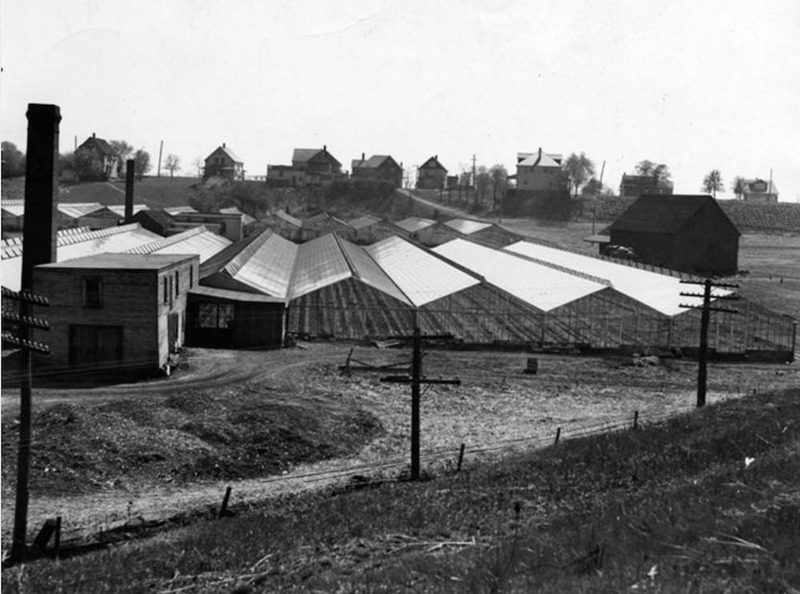 However, the majority of the vegetables grown in Cleveland-area greenhouses were sold locally from small roadside stands and in Central and West Side Markets. 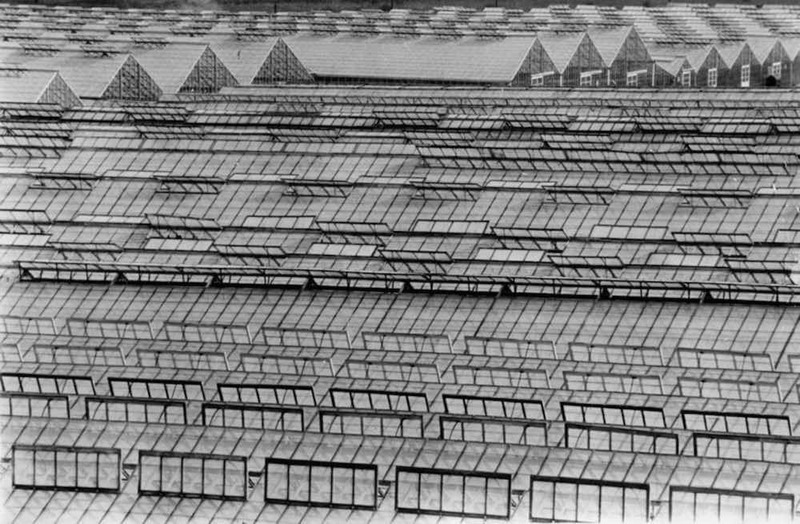 Cleveland’s greenhouse industry continued to expand through the mid-20th century, reaching 400 acres under glass and employing 1,000 hothouse farmers, many of them Puerto Rican migrants, by the early 1960s. By that time greenhouses stretched for more than two miles along either side of Schaaf Road, and additional smaller concentrations could be found in Olmsted Falls, Rocky River, Columbia Station, Berea, Avon, Sheffield Lake, and Wooster. In 1966, Governor James A. Rhodes visited the A. G. Heinrichs Greenhouse on Schaaf Road to promote Ohio’s greenhouse industry. At a special luncheon there, he washed down nine large hothouse tomatoes and a cucumber and Bibb lettuce salad with a glass of tomato juice. 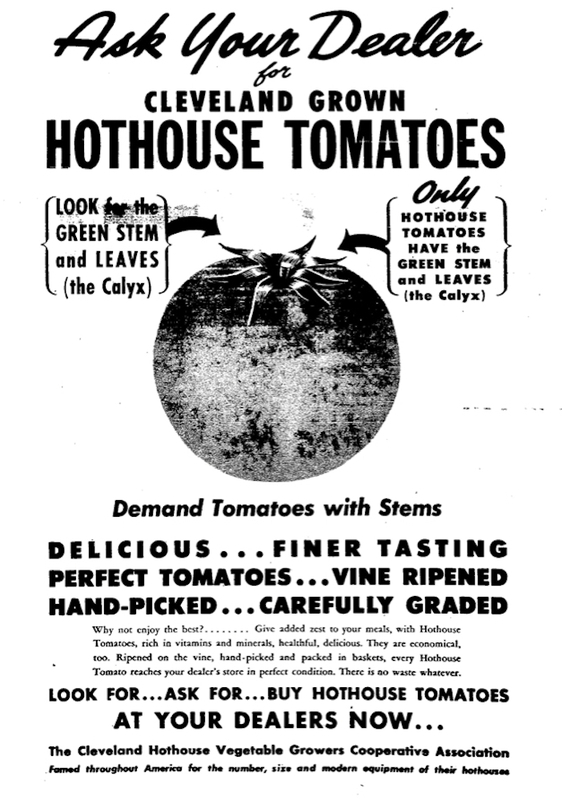 Even as Rhodes was extolling the hothouse growers’ successes, the “Greenhouse Capital of America,” which produced 80 million pounds of tomatoes each year, was already on the cusp of decline. Greenhouse agriculture was always a high-cost undertaking that depended on high yields per acre to generate a profit. A single acre under glass not only required misting plants from overhead pipes with 750,000 gallons of water per year, it also produced a hefty heating bill. 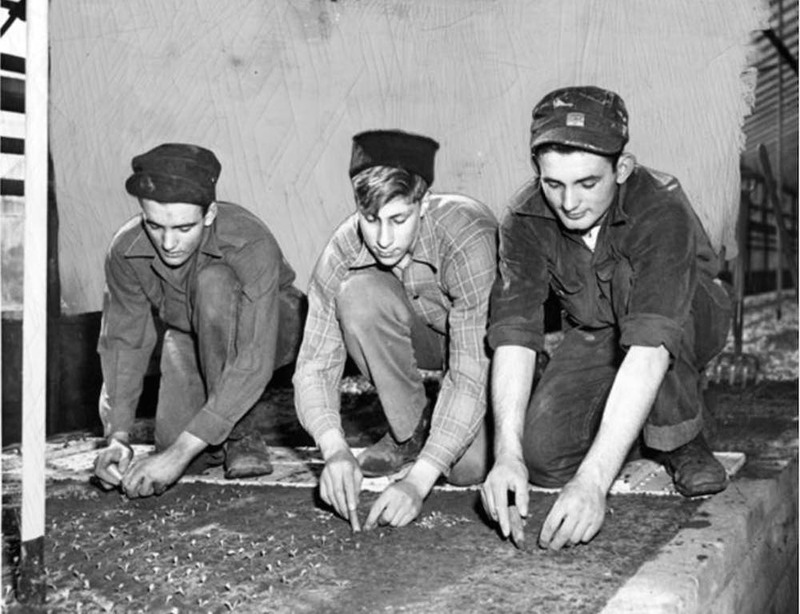 As the cost of burning coal in boilers to heat greenhouses became prohibitive in the early 1960s, farmers turned to natural gas, but then the energy crisis of the early 1970s drove up the price of gas so much that many greenhouse owners could no longer afford to operate. 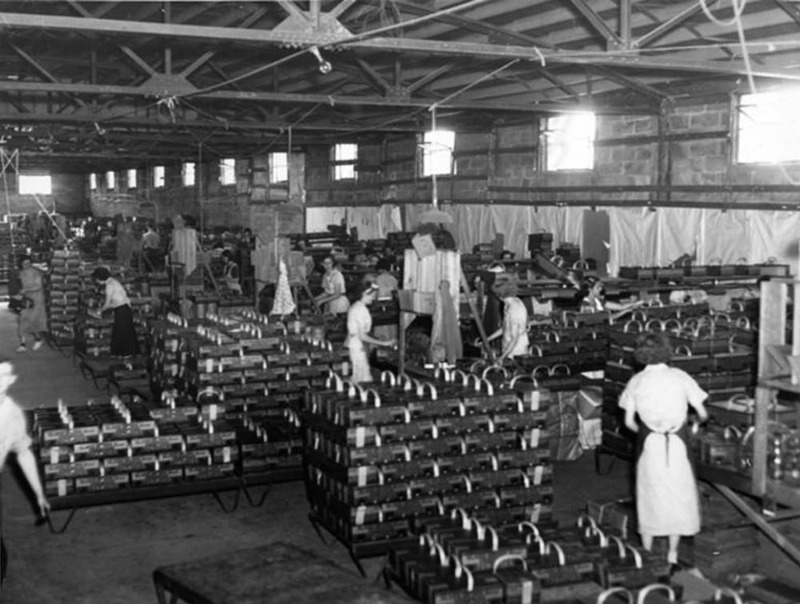 Pollution from nearby factories in the Flats produced smog that only compounded the problems associated with Cleveland’s notoriously dark, cloudy winters. Sometimes heavy rains caused chemicals in the air to seep into the greenhouses, burning plants. Industrial expansion also placed a premium on spacious farmlands outside the city, and many struggling hothouse growers were eager to sell. 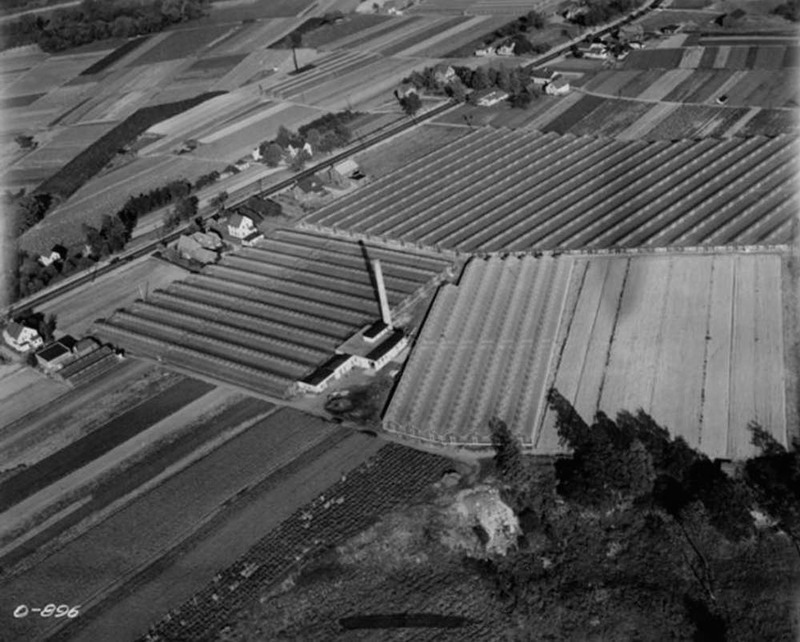 One such farmer, Edwin Orth, sold all but three acres of his 60-acre Brooklyn Heights farm in 1969, including 16 greenhouses, which became part of a new industrial park. Growing competition from government-subsidized greenhouse companies in Canada further undercut Cleveland’s greenhouses. By the 1980s, most of the large greenhouses in Brooklyn Heights were no more. Smaller ones remained, but they turned away from growing vegetables in favor of flowers, trees, shrubs, and seasonal plants such as poinsettias. Today one can still see the Ruetenik mansion, which the “Celery King” built in the 1930s on Schaaf Road. Nearby a small handful of remnant greenhouses operate to this day, offering a hint of Cleveland’s onetime national reputation as a center of “manufactured” vegetables. Could Northeast Ohio recapture its position as the “Greenhouse Capital of America?” If the Cuyahoga Valley Greenhouse Growers Association, formed in 2009, has its way, it will do so using state-of-the-art sustainable greenhouse technologies. The Green City Growers Cooperative, opened in 2013 in Cleveland’s Central neighborhood, produces hydroponic Butterhead, Cleveland Crisp, and Green leaf lettuce in a 3-1/4-acre greenhouse that overlooks the RTA rapid transit line. As the nation’s largest urban food-production greenhouse, Green City Growers is not so much a sign that Cleveland is returning to its coal-fueled hothouse heyday as it is a suggestion that the Forest City might become a national leader in environmentally friendly urban agriculture. 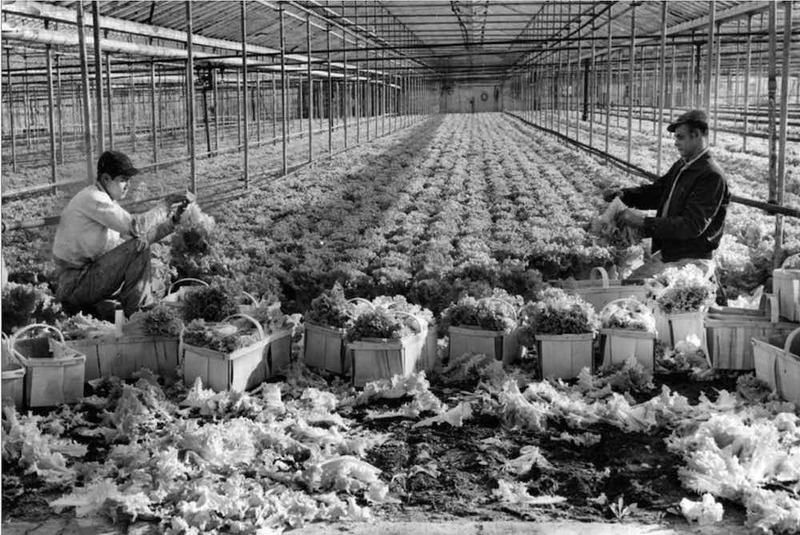 With 400 acres "under glass" by the early 1960s, Greater Cleveland enjoyed the reputation as the "Greenhouse Capital of America." The only larger concentrations in the world were said to be in Holland and England. 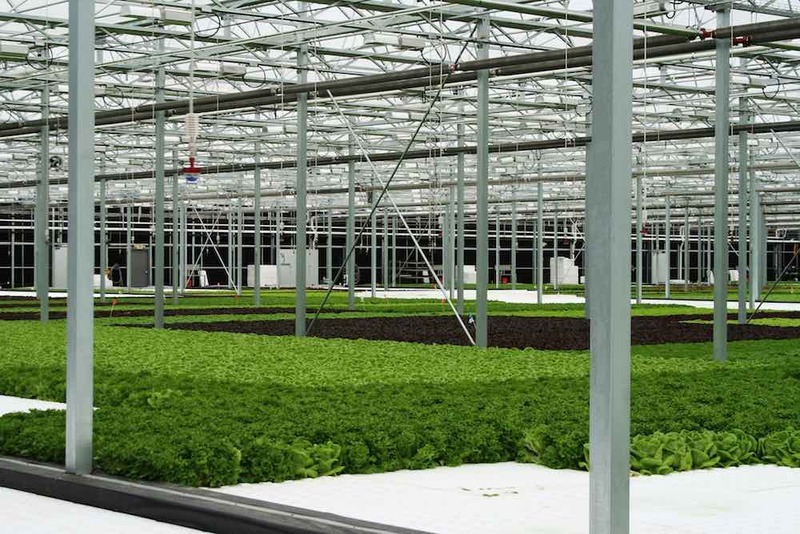 Today Cleveland has the largest urban hydroponic greenhouse in the U.S.
J. Mark Souther, “Cleveland's Greenhouse Industry,” Cleveland Historical, accessed April 19, 2019, https://clevelandhistorical.org/items/show/713. Bridge, Raymond. “Greenhouses on Schaaf Road Give a Taste of Farm Life.” Plain Dealer. May 11, 1970. Crawford, John A. “Looking Over Cuyahoga County’s Farms.” Plain Dealer. May 17, 1931. Cuyahoga Valley Greenhouse Growers Association. http://cvgga.org. Drake, Robert J. “It’s Harvest Time Under Glass.” Plain Dealer. February 1, 1957. Flanagan, James B. “Local Tomatoes No Brooklyn Tree.” Plain Dealer. April 14, 1968. Green City Growers Cooperative. http://evergreencooperatives.com/business/green-city-growers. Wagner, Dennis. "The Rise and Fall of the Cleveland Greenhouse Industry." 2013. 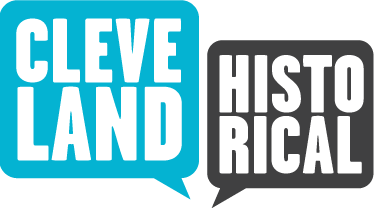 Cleveland Memory Project. Cleveland State University Library Special Collections, http://images.ulib.csuohio.edu/cdm/ref/collection/urbanfarm/id/1523. Rodgers, Timothy G., "Remembering Ruetenik Gardens" (2017). Cleveland Memory. 34. http://engagedscholarship.csuohio.edu/clevmembks/34. Published on Jun 22, 2015. Last updated on Jan 2, 2019.